Technology, research, continuous innovation and the use of quality materials - these are the hallmarks of Vighi Security Doors. For more than thirty-five years, Vighi has been integrating the best characteristics of the industry together with careful tailoring and attention to details. A long tradition based on experience and passion for craftmanship has driven the company to achieving new levels of excellence. 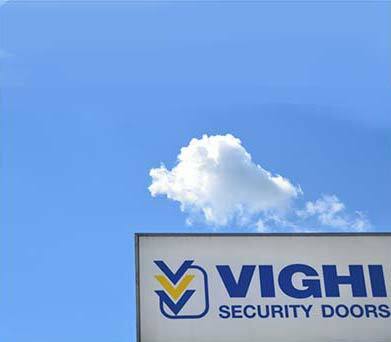 The fundamental subjects of development for Vighi Security Doors are safety, design, comfort, reliability and flexibility of sizes and customizations. Technological development and research are constantly used in the production of security single and double leaf doors, windows, fanlight, sidelight; euro profile cylinder and double bit locks, electronics doors and hidden hinges ones. Vighi was one of the first door manufacturers to adopt the euro profile cylinder and with it’s own innovative project the cylinder and the lock became proven. The doors are tested anti-burglary Class 3- 4, the most suitable for residential places and housing units. And nowadays the Class 5 tested door has been designed for banks, jewelry stores, embassies and high-end residential buildings. Vighi’s doors are safe, with acoustic and thermal insulation, air, wind and water resistant. Beside the standard range Vighi Security Doors manufactures custom-made doors based on the designs and dimensions provided by customers. It works like this: a customer or designer proposes the design of the door, the working group evaluates it, and the various manufacturing departments then work up the unique item. In this way the door becomes one of a kind, like a haute couture gown. In the way that operates, Vighi keeps a behavior based on ethical integrity, transparency, professionalism as well as honesty and good faith. Vighi considers as primary the safeguard of health and safety for workers, establishing as aim, not only the respect of the standing regulations, but also a constant action oriented to a continuous improvement of work conditions. Vighi is careful and active about environmental protection. Every investment and management choice is oriented to the compliance of the current regulation on the subject. Vighi sets up and rules with coherence its business relations with customers, suppliers and external partners, only according to the criterion of trust, quality, competitiveness and professionalism, and on the respect of the current regulations. Vighi considers as essential part of its activity the quality process and the reaching of an excellent level concerning the product and the customer service. Vighi’s essential value is continuous research and innovation for its products and its organization. Our doors are manufactured in Colorno, near Parma. 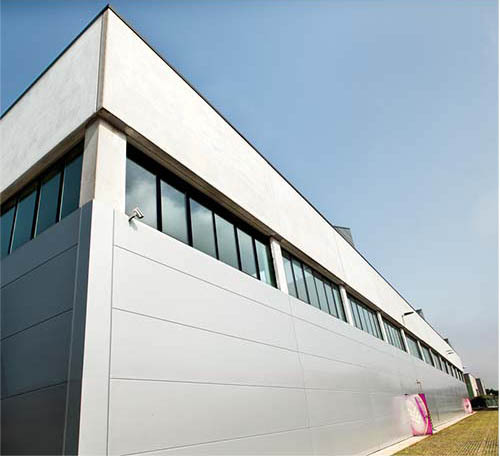 The factory consists of four buildings covering a total area of ​​7,600 square meters.